Gunns’ must really be loaded to commit $2.2 billion on a pulp mill in Tasmania’s Tamar Valley. Not many companies have that sort of money and certainly not in cash-strapped Tasy. But with access to so much financial capital, why waste it on 20th Century logging? Tasmania has so much economic potential using 21st Century thinking and think what a smart $2.2 billion could otherwise benefit Tasmania’s future, without 19th Century exploitation? The money to build such a pulp mill has to come from somewhere and it appears Gunns’ may have found a financial joint venture backer in Finnish pulp giant, UPM-Kymmene Oyj. [Source: ‘Finnish firm UPM eyes stake in Gunns pulp mill‘, by journalist Matthew Denholm, The Australian, 20110209]. “In September 2008 UPM announced another cost reduction program that includes layoffs thousands of employees, and its Kajaani paper mill and Tervasaari pulp mill will be closed altogether. These will be the largest layoffs ever in Finland. In March 2006 UPM announced a cost reduction program that includes layoffs approximately 3,600 employees, nearly 3,000 of those in Finland, and its Voikkaa paper mill in Kuusankoski was closed altogether. This was the largest single layoff ever in Finland. This is attributed[by whom?] to the worldwide overproduction of paper. Greg L’Estrange, Gunns’ replacement CEO for John Gay since July 2009, seems to be tasked with getting the pulp mill up and running no matter what the cost, no matter what spin doctoring efforts are employed to secure government approval. Somehow his deal making has succeeded in government fast-tracking of the assessment process. On 25th November 2010, Gunns released a statement to the Australian Stock Exchange stating that the pulp mill project remained on track. This is Gunn’s ‘do-or-die‘ single corporate strategy. It has no plan B. . L’Estrange’s initial ploy was to remove the motive driving Gunns’ key enemies. 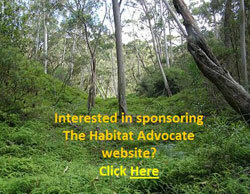 Gunns’ declared a moratorium on native forest logging across Tasmania. It was clearly a bid to secure Forestry Standard Certification, to comply with new Japanese buyer benchmarks; rather than any noble recognition of native forest conservation values. Then L’Estrange concocted Gunn’s Forest Statement of Principles and armed with this did a secret forest peace deal late last year with local greenie groups. L’Estrange sold it as a new greener Gunns’ “working with environment groups to create a future without conflict.” Consistent with strategy, the ‘Tassie Talks’ deal it was all about quelling Tasmanian public dissent and he quickly branded the deal pivotal to the Tasmanian forest industry and ‘historic’. Be seen to be green! Whatever it takes! Except environmental groups deny they have given the green light to Gunns Tamar valley pulp mill by signing the deal. There’s that greenwashing term again – ‘sustainable‘. It’s become an abused and hollow marketing euphemism really about corporate ‘financial viability‘ in the exploitation of natural resources. Such corporations shy from using the term ‘triple bottom line’ any more, because it is harder to promote when one is only focused on the bottom line. And there’s fresh water demand of the mill and the marine effluent it will spew, which L’Estrange has tried to allay concerns claiming new pulp bleaching technology promises to reduced toxic outflow of chlorine dioxide by some 40%. Despite the promise of ‘stricter controls’ an expected 64,000 tonnes of effluent will still be released by the pulp mill into Bass Strait daily. And it won’t harm marine life? Securing Gunns’ shareholder backing, L’Etrange at Gunns’ recent annual general meeting, drew a line in the sand claiming the moratorium on native forest logging (the greenie forest deal) was now conditional on the Tamar Valley pulp mill going ahead. If the greenies want to keep Tasmania’s native forests, they must agree on the pulp mill proceeding. The ‘Tassie Talks’ deal was always a loaded gunn deal. Of course it’s all rather reminiscent of Gunn’s heavy-handed power playing under John Gay. The Gunns’ Board hasing changed; only its front man. This latest greenwashing approach is one of image rebranding and loaded deals, all the while Gunns’ pulp mill strategy remains on track. L’Estrange plays good cop while the pulp mill unswervingly looms as Tasmania’s big bad cop. Tasmania’s natural heritage is Tasmania’s future… whether dead in a museum like its Thylacene or alive and precious…is ultimately an existence decision for local Tasmanians. Upon gaining the final three environmental permits Gunns needs for the mill, Gunns shares rose 5.88% to close at $0.63. (Finnewsnetwork.com.au, 20110311). Certainly a ‘sustainable’ result for L’Estrange. 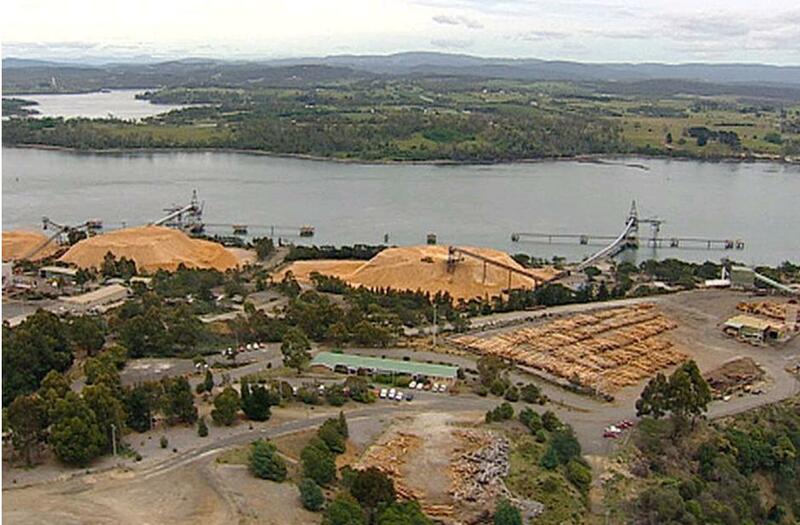 Gunn’s pulp mill will perpetuate 20th Century logging across Tasmania. It will continue to make Tasmanian rural communities dependent on one industry and vulnerable to the whims of one employer – Gunns. So Gunns’ ‘plantation only’ claim is false and misleading. The mill will spew odorous fumes downwind through the Tamar Valley forcing thousands of residents of this rural region to breathe polluted and toxic air and contaminate local horticultural producers such as vineyards. The mill is forecast to consume fresh water equivalent of the combined use of all water users across Northern Tasmania, according to The Wilderness Society there. (‘Gunns’ pulp mill impacts – Environment, heritage, economy and community threatened, The Wilderness Society, 20100530). Gunns’ mill is still set to spill 64,000 litres of toxic chlorine, dioxins and furans a day from its chemical pulping process into the Tamar River and downstream into Bass Strait. That it will obviously pollute the surrounding waters, kill marine wildlife, poison and permanently contaminate marine habitat, and destroy the local fishing industry; Burke has still managed to find a way to approve the bloody mill! Burke in the same week, managed to push through legislation to allow Sydney’s Barrangaroo development avoid the cost of a heavy metals clean up, while at the same time stuck to the letter of the law with his approval of Gunns’ pulp mill. Can there be no clearer display of pro-development bias? Laws for some! Milne is factually correct. There was no rigorous assessment of the Bell Bay site. The Tasmanian assessment process was corrupt, the community was denied a say, the democratic process was abused. The mill has no social license to operate. It is illegitimate and Gunns’ development actions are one of a corporate and political bully imposing its selfish shortsighted greed on Tasmania and Tasmanians. Gunn’s Bell Bay pulp mill will not only degrade the region, but dominate the northern heart of Tasmania. On Google Earth it will show up like a festering sore poisoning a diminishing green forested Tasmania. L’Estrange borrowed Labor’s classic dirty tactic of divide and conquer to stymie opposition and protests from Tasmanian conservation groups. His deal has seeded a split between conservationists and the Greens over the pulp mill. He has lured local conservationists to compromise with the offer to surrender Gunns’ contract rights to 220,000 cubic metres of native forest saw logs a year and to protect an extra 600,000ha of forests. Even Labor’s appointed negotiator Bill Kelty has been brought in to clench a forest peace deal with select conservationists. 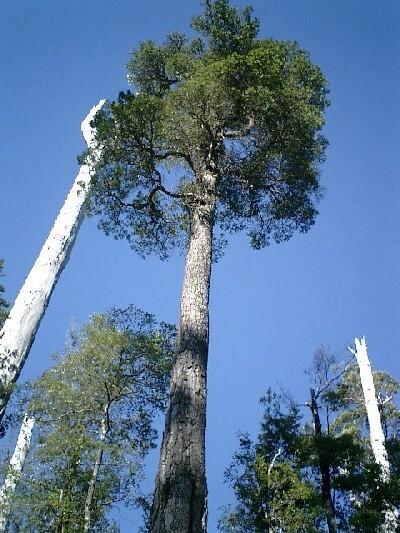 The Wilderness Society in Tasmania, together with Environment Tasmania and the Australian Conservation Foundation seem to be coming on board backing down on their opposition to the pulp mill. They are now at odds with the Tasmanian Greens who are a little more savvy about the hollow politics and promises. “The mill will never be built. The people are opposed and are right not to trust Gunns. There will be a huge outcry and mass protests blockading construction. I will travel to Tasmania and so will many others to make sure of this. The proposal is dead. “The only acceptable outcome is NO Pulp Mill at all in Tasmania. Gunns has no credibility and has proven time and again how they cannot be trusted by the community. I personally believe there is no place for a company like Gunns in Tasmania and they should make transition plans for their workforce to move to a sustainable industry. …’Gunns had gone so far as to sue an elected politician, the Greens leader, Bob Brown. Ultimately, Gunns underestimated its opposition and its decision to sue backfired spectacularly. Far from being cowed by the suit, Marr and his colleagues ramped up an environmental campaign the likes of which had not been seen in this country – targeting the Gunns bankers and shareholders, Japanese customers and European partners – which ultimately brought the company to its knees, decimating its market value and ousting its divisive chairman, Gay. ..It was left to the new chief executive, Greg L’Estrange, to concede defeat last September, and promise that Gunns would get out of native forest logging altogether. Despite this week’s federal approval of the mill, and the talks over a Tassie forests peace deal, Gunns is by no means out of the woods. A long, painful process of rebuilding trust with former enemies is only beginning. Gunns was once a corporate powerhouse. A series of acquisitions in 2000-01 turned it into Australia’s largest export woodchipper, and No. 1 target for the environment movement. ..’A bulked-up Gunns put the pedal to the metal. 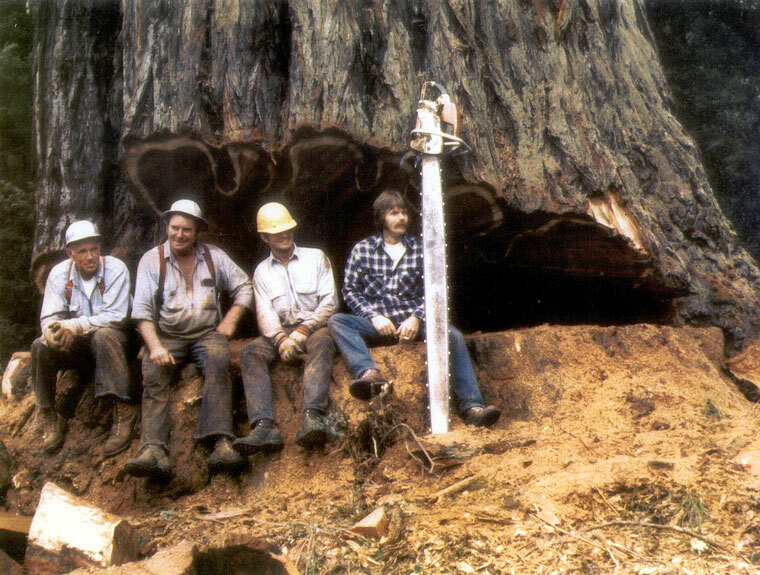 This was logging on an industrial scale. Between 2000 and 2006, working with Forestry Tasmania, Gunns clear-felled 110,966 hectares of native forest, 90 per cent of the timber being used for woodchipping and 58% of the land making way for timber plantations. “Gunns got unlimited amounts of other people’s money and went on a clearing binge,” says Marr. The forest was clear-felled and waste burnt off using napalm-like incendiaries. Gunns used 1080 poison bait to protect seedlings, inflicting gruesome death on untold native animals and risking the health of forest workers. Whether from strength or desperation, Gunns launched its ill-fated suit. The company’s shares hit their all-time peak a month later, at $4.38, and began to slide downwards. The story of the Gunns 20 suit, which dragged on until last year and was ultimately settled at a cost to the company of $2.8 million – including $1.3 million paid to the Wilderness Society – has been well told. Perhaps less well understood is the international backlash the case triggered. The decision in 2008 by the new ANZ chief, Mike Smith, to refuse finance for the pulp mill, quickly followed by the other big banks, was unprecedented in this country and followed a strong online petition campaign by the Wilderness Society and the online activist group GetUp!After a decade’s lobbying, Japanese paper-makers decided in February last year not to accept Gunns wood unless it was Forest Stewardship Council- controlled. Shares in Gunns are off their lows but the company’s future remains uncertain. Bob Brown says if Gunns ”doesn’t survive – and I hope it does – it will be nobody’s fault except the board’s”.